About the Book: Last winter Sam was a wolf. But this year he's still human. But there are new wolves that were brought to the pack and one wolf, Cole, keeps changing early. As Sam tries to figure out his new role as pack leader, human boy, and what's happening with Cole, Grace is noticing changes in herself and feels as though her time is short. I read a lot of books and while I enjoy many of them and love a few, it's a rare book that makes me want to go back and re-read it again and again. But when I turned the last page of Linger, I knew I had to open it up again and start all over. I'm even getting it on audio so I can listen to it! Yep, I'm in love. Sequels often worry me, since many times they don't live up to the first book, but Linger surpassed my expectations and I liked it even better than Shiver. But it is a sequel, and while there is some recap, you really need to read Shiver first. Linger is told in four alternating voices-Grace and Sam, which we know from Shiver, yet this time around we have new wolf Cole, and Isabel, who has more of a starring role. 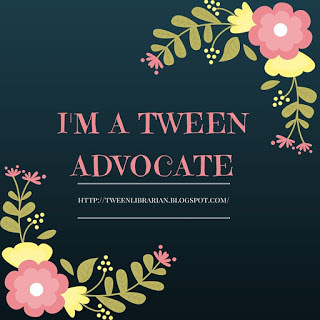 I felt each of the characters had distinct voices and I could hear each character in my head as I was reading. The writing is tremendous and beautiful and magical. Maggie Steifvater has a way of pulling the reader in and evoking the character's emotions so perfectly that the reader feels them so strongly with each page turn. None of these characters are perfect, they are damaged and have flaws-and the writing lets you feel that with them. There are scenes that are so vivid (especially one involving Cole and a deer) that I don't know if I will ever forgive Ms. Stiefvater for because I can't get the image out of my mind. There were many points I was so caught up in the emotion of the novel I was close to tears-and I don't cry at books! I also like that we got to have four voices in this one. It's still Grace and Sam's story, but it's more than that. They are part of a bigger picture-the focus is not just their relationship and that's what makes the book work so well. Yes, this is a romance, but it's so much more. Isabel and Cole are interesting and add another depth to the story-especially Cole's background and past. Cole is a very flawed character, yet I'm intrigued by him. Isabel can be an ice queen, but she has a softer side she rarely lets anyone see, and she's a good compliment to Grace's perfect and organized personality. While the ending is given lots of foreshadowing throughout, the race to get there and figure out what is happening is so heartbreaking and beautiful and real, I didn't mind that I knew what was coming. My biggest gripe is the major cliffhanger ending, which is so not fair and I would have thrown the book across the room in frustraion if I hadn't wanted to turn the front and start all over. That's what's so great about Linger-I'm so wrapped up in the story that I can love it and hate it all at the same time. I'm even more excited for the third book, Forever, to be released next year! Definitely lots of gushing, but in a god way. 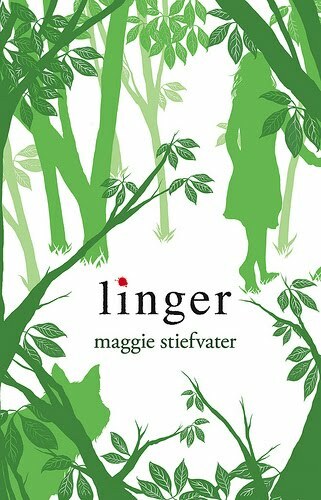 I actually jsut read Shiver and can't wait to read Linger. Thanks for the review. Utterly fabulous review!! I can't wait to read this book. This is one of the few paranormal series I am still enjoying and it sounds like I won't be let down here. I loved this one too. It was great and the four perspectives was great. Isabel and Cole are a very interesting and different addition to the series. so awesome. I want more now as well! Maggie Stiefvater is literally my hero. All I'll add to the conversation is WORD! Gushing is good. I so want to read this series. I REALLY wanna read this book. But sadly thats not gonna happen for a very long time.